When I saw this title I thought, wow, what could this contain? But Snow Flake turns out to be the name of a baking powder. 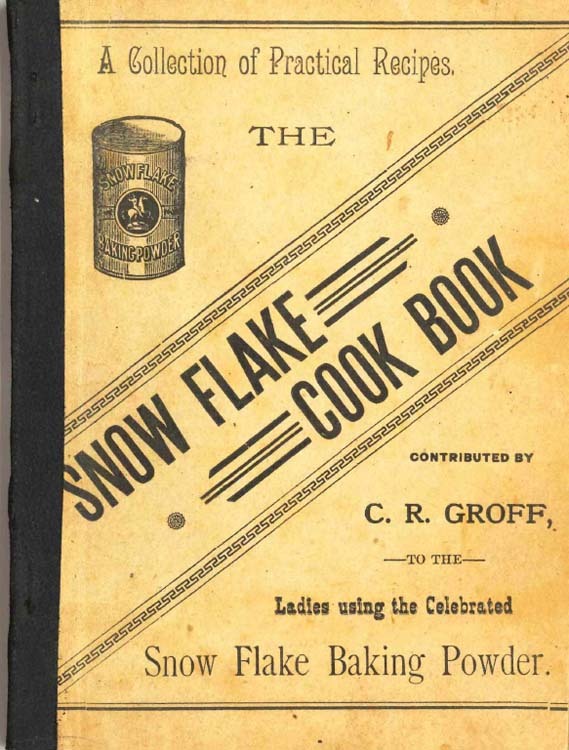 It proceeds as a usual 19th-century cookbook, with recipes in paragraphs, but does have some fun testimonials in the back from chemists, grocers, and users, noting its popularity and that it's alum-free.